I am your friendly neighborhood wolf, the resident canine! Visit the Wolf Conservation Center! 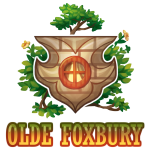 I certainly wish to be committed to FurVilla and my town Olde Foxbury for many seasons to come! Expect to see this wolf trying to contribute or fail at it! I also go by Tak, and Taco, Tako, Take-chan, Takeeto. I catch many things, as well as spiders being my favorite. I care for my "neighbors" and make sure they grow strong and safe in their webs. They are pure, and I go out of my way to help them. Highly interested in entomology. Not very adept, but interested in growing and observing plant life. Also interested in environment and ecosystem functions. 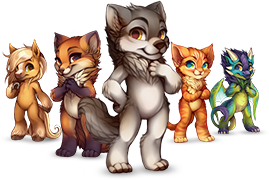 My top canid favorites are all wolves, all German Shepherds (Blue Bays look floof), and all Siberian Huskies! Coyotes also are up there. Hope to learn more on Dire Wolves. Enjoys reading on their biology, social and psyche. Very into the research of wolf society, their psyche, emotions and general behaviors, and their relationships with other beings and the environment. Hope to meet everyone and expand my pack. Beware; An enemy of wolf is an enemy mine. I am sworn in life to never kill a wolf, and to fight for my kin. Have done all kinds of art mediums, such as painting, etching, sketch, digital paint and animation, etc. I spend significant amounts of my daily time elaborating and creating stories that I've made since before middle school and beyond. As there is huge diversity and setting I worldbuild a lot! #1 fan of Anchorman Frostbite! Openable and usable items still works after the event that grants them. *eyes you* You're the only one to visit Bea's house. Ever. Cool to find someone who also loves spiders and is an artist! Thanks for the welcome! Hi, I just wanna let you know I can't accept they trade because it says your inventory is full!